The Paris-Nice stage race, known as the ‘Race to the Sun’, is held in March each year and is the traditional start to the road racing season. The 2013 champion was Team Sky rider Richie Porte, the first Australian to ever win the race, who time-trialled his way to victory with back-to-back stage wins, taking the leader’s yellow jersey by 55 seconds from American Andrew Talansky. The Paris-Nice race (or Les Six Jours de la Route, as it was then known) was first held in 1933, when it was won by the Belgian Alphonse Schepers. After a break between 1940 and 1946, it returned as the Paris-Côte d’Azur, before settling on its current name in 1954. Irishman Sean Kelly has won most titles, with seven overall victories between 1982 and 1988. The most recent home champion was Laurent Jalabert who won the third of three consecutive victories in 1997. 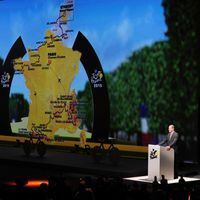 More recently, Brit Bradley Wiggins began his annus mirabilis of 2012 with victory in the race, before going on to take the Critérium du Dauphiné, the Tour de France and the Olympic time trial. Over the years, the distance of the race has ranged from 850 km to 1,955 km. 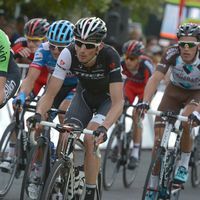 Despite its name, it does not always start in the capital – for example, in 2013 the initial prologue was held on a winding 2.9 km course in nearby Houilles. It does however generally finish in Nice – in 2013, the race concluded with a time trial from the city’s centre to the Col d’Eze. Paris-Nizza - keine Chance für Fränk Schleck? Kann Fränk Schleck die Teilnahme bei Prais-Nizza schon jetzt vergessen? Seine Verletzungen verheilen langsamer als erwartet und ihm fehlen wichtige Trainingskilometer. Bora-Argon 18 & MTN-Qhubeka mit Wildcard für die Tour 2015. Auch Astana ist mit dabei und es wird Radsport-Geschichte geschrieben.